This holiday I’ve been busy fiddling on the new photo editor of my Nokia N8. 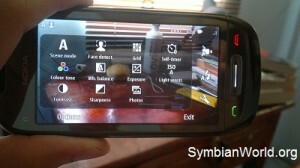 This editor is the default one for all Symbian^3 devices. The app is also free and you don’t need to find it and pay some quid or bucks. Unlike other apps that you still need to hunt for. Checkout the sample photos after the break. 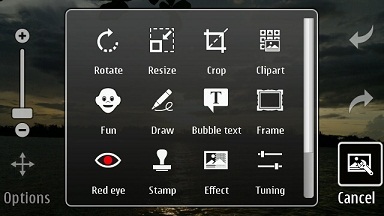 The new photo editor of Symbian brings new facelift options but still remained the basic ones that we found on our S60v5 & S60v3 devices like N97 & N82 respectively. What’s the biggest addition was the effects and tuning tweaks. Also we could consider the animation and other updates to be essential in this editor. Simple in use but sophisticated on its editing features. Below are the gallery to my amateurish creations. I really enjoyed editing all these. Because you can just do a manual tuning or use the default effects in the editor. 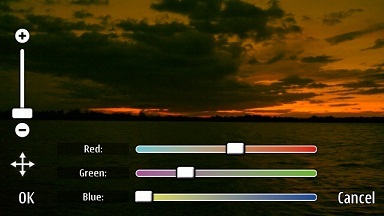 And if you have more skills on editing, and maybe with just vivid imagination, you would surely create awesome photos. Of course, this editing feature has some small caveat too. Like on editing the edges and the bottom of the images is sometimes annoying as the info and options menu are popping in and out. Nevertheless, it’s just a cost of small temper of yours.